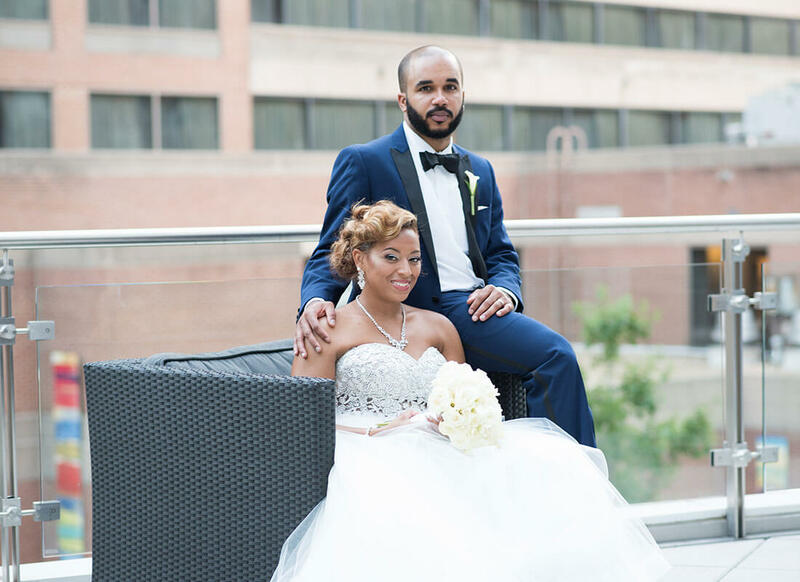 A shimmering vision of beauty, Shannon Riley married her true love, Otis Wilson on July 23, 2016 at the Renaissance Arlington Capital View hotel in Arlington, VA. 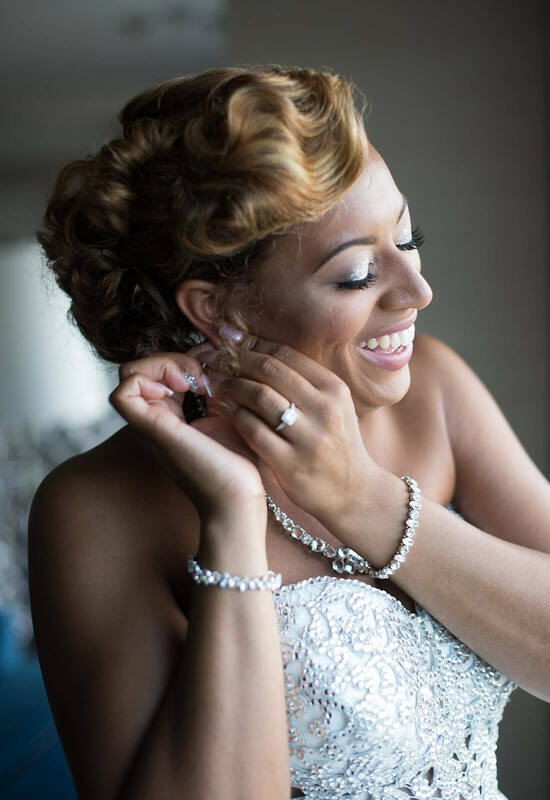 Wearing the crystal-studded gown of her dreams, Shannon couldn't help but smile from ear to ear on her special day. 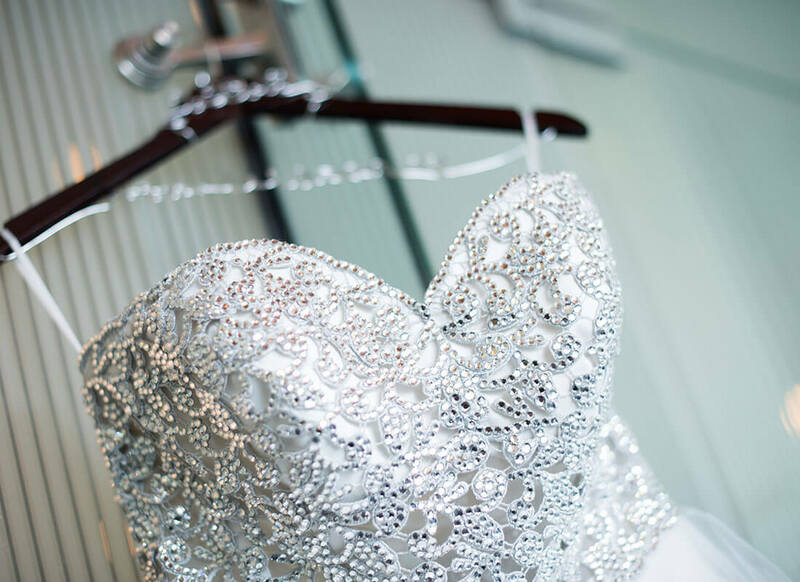 A fan of Say Yes To The Dress and a lover of bling, Shannon knew that Pnina Tornai was her ideal wedding dress designer. Therefore, to kick off her wedding dress shopping, Shannon made her reservation to visit the Pnina Tornai Boutique at Kleinfeld Bridal. 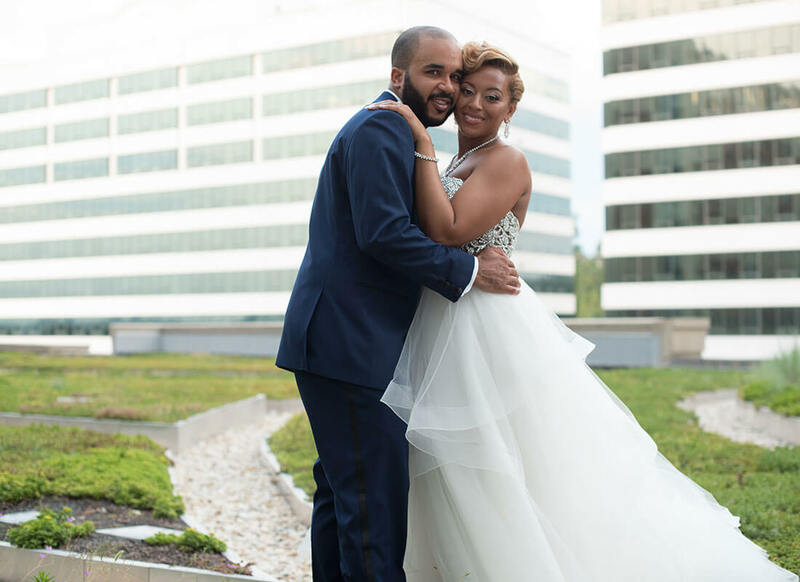 Before she visited the famous boutique, Shannon made sure to do her bridal gown research by trying on other gowns to figure out what she liked and what she did not. 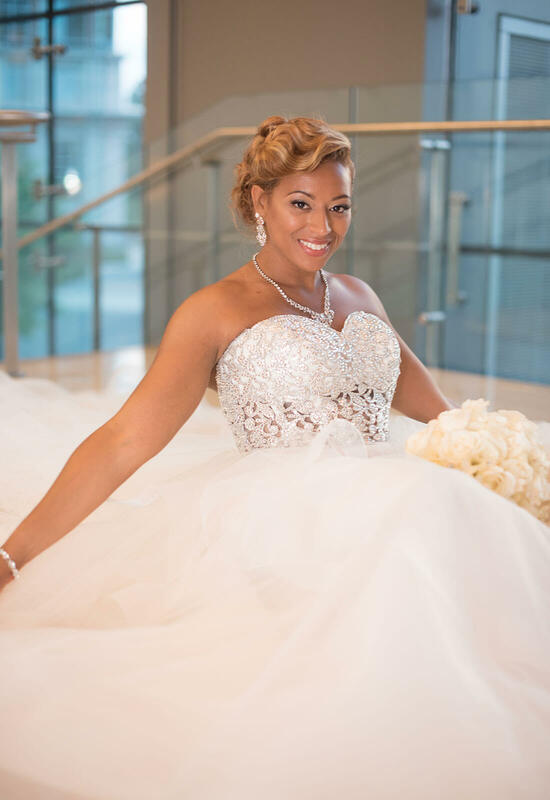 Although other gowns were beautiful, Shannon just could not say yes to anything before visiting the Pnina Tornai Boutique. 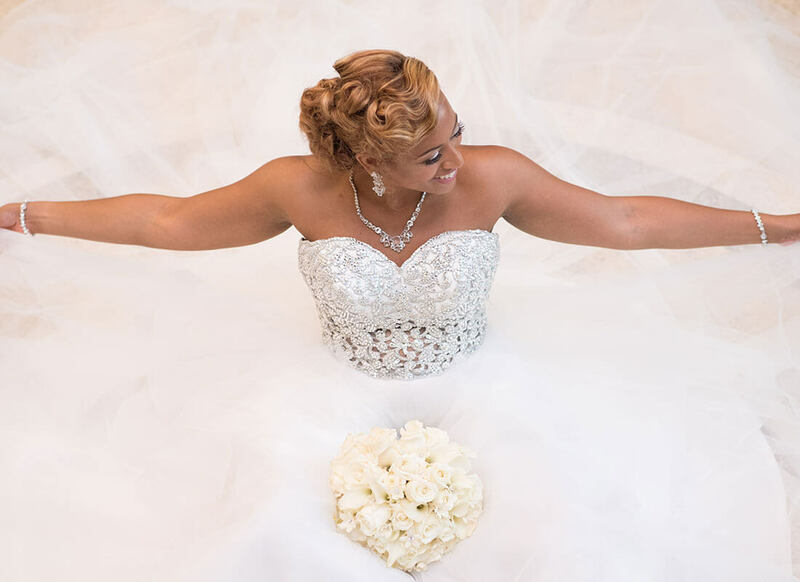 For Shannon, the dream wedding gown was all about the bling! In fact, this was one of the main reasons she was drawn to Pnina Tornai, aka the Queen of Bling, and her fabulous crystal-embellished gowns. Initially wanting a gown with crystals from head to toe, Shannon decided to reign in the embellishments to be mindful of her wedding budget. 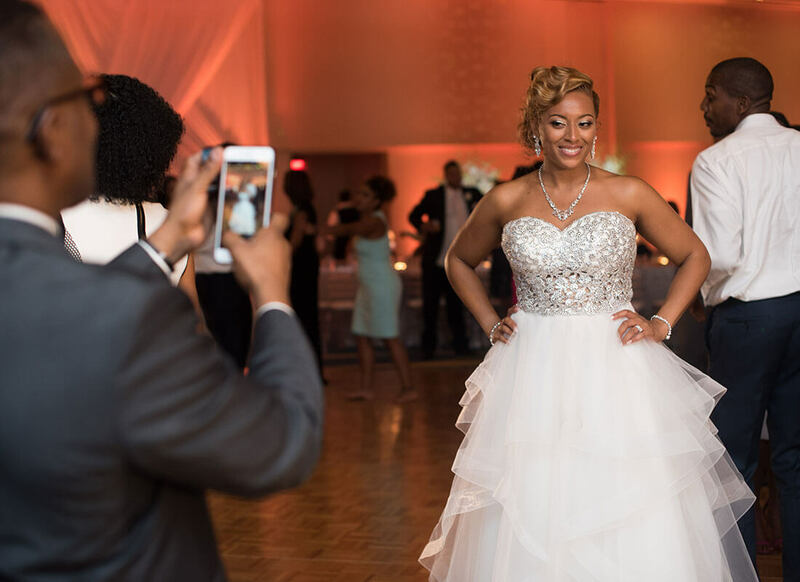 After trying on a handful of gowns at the boutique, it was a dazzling ball gown with a crystal-embellished illusion corset that won Shannon's heart! Having fallen in love with the gown, Shannon had to know what this blinged-out beauty was going to cost her. 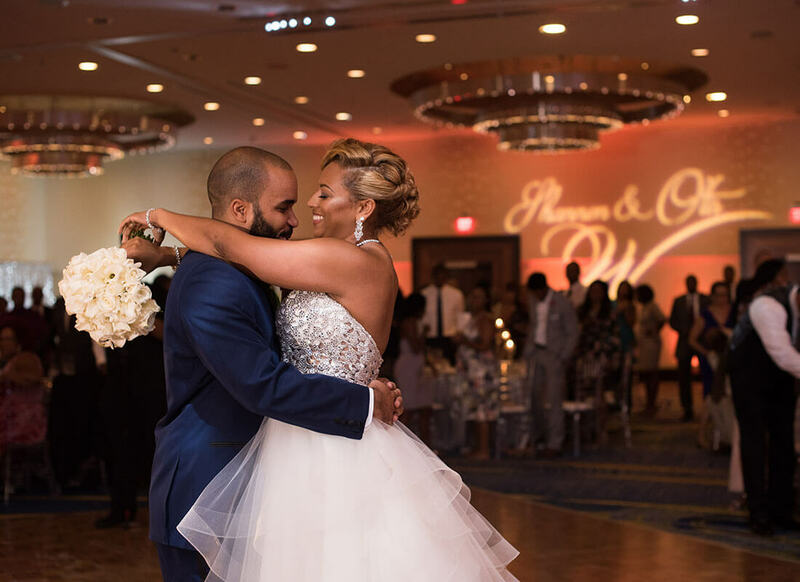 Lucky for Shannon, her dream wedding dress was a part of Pnina Tornai's new and affordable LOVE by Pnina Tornai collection. The affordable cost of the gown put the dress just within Shannon's price range. 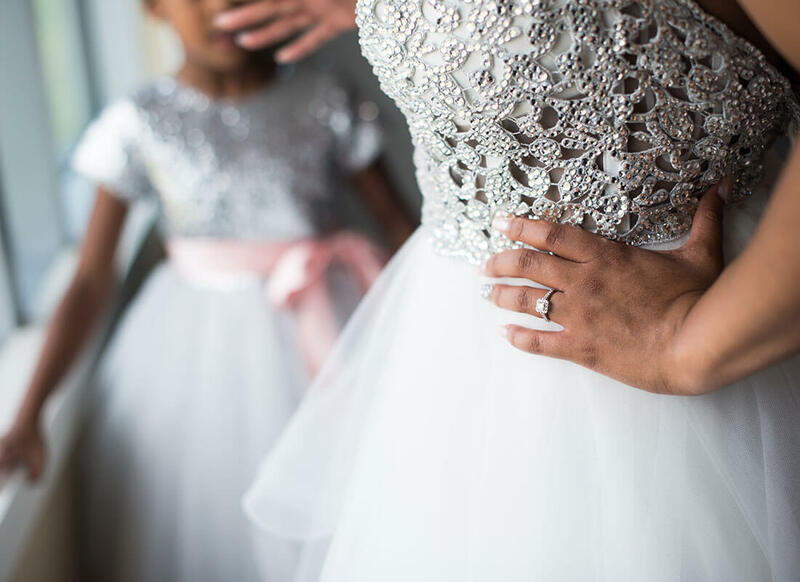 Completely enamored with the enchanting gown and its affordable price, it was time for Shannon to get her family's opinion. Shannon emerged from the dressing room in the flowing handkerchief ball gown to immediate adoration and approval. As if her family’s approval and the approval of complete strangers wasn't enough, Shannon got the approval of a surprise onlooker! Pnina Tornai herself was at the boutique and came over to compliment the striking bride and witness her answering the all-important question: Was Shannon saying yes to the dress? 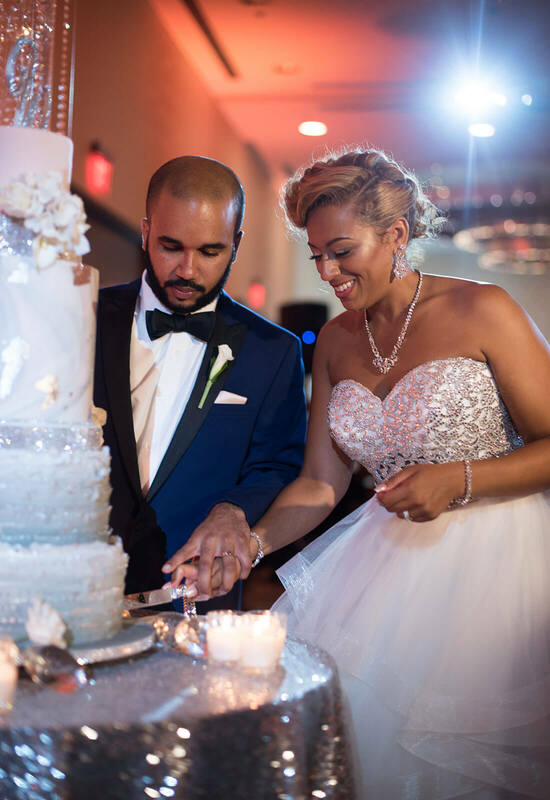 Finally feeling the emotion and tears she had been waiting to experience, Shannon said yes to a breathtaking handkerchief ball gown with a sweetheart neckline and crystal-embellished illusion corset! 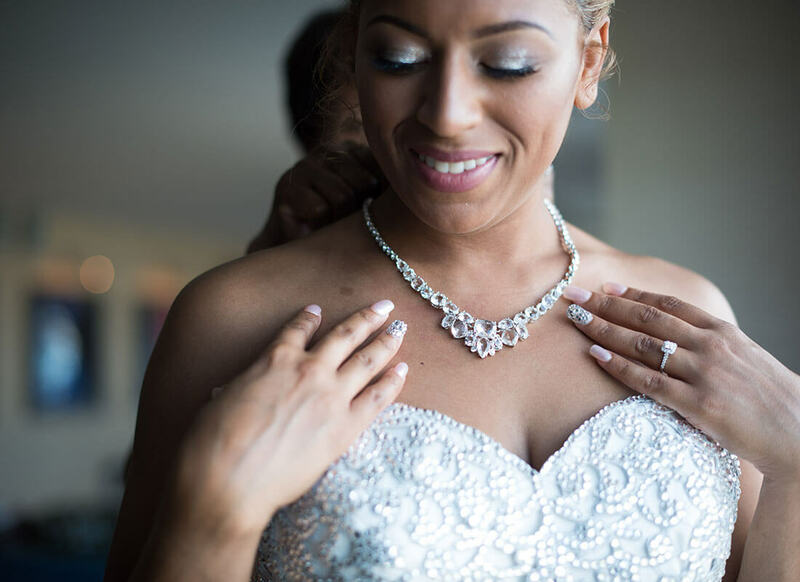 To compliment her sparkling gown, Shannon accessorized with crystal jewelry including a necklace, earrings, and two crystal-studded bracelets. Lastly, to highlight the sweetheart neckline of the gown, Shannon styled her hair into an elegant up-do. 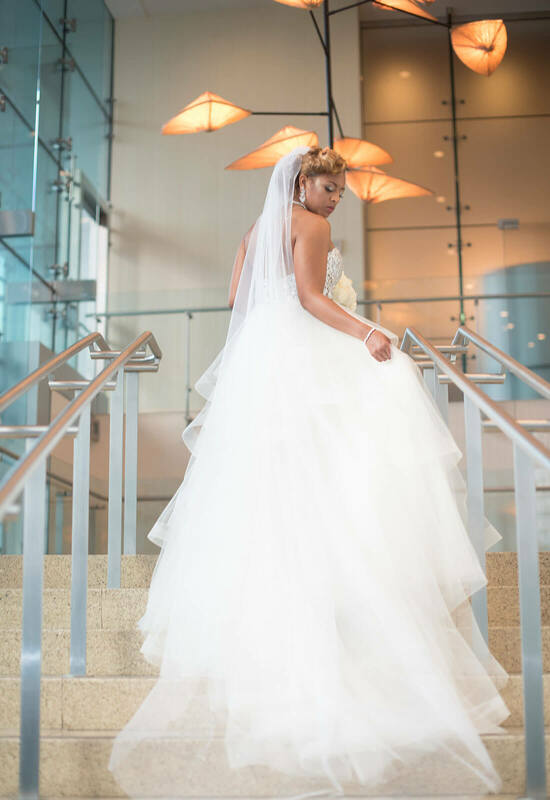 When it came time to walk down the aisle there was no doubt in Shannon's mind that she had chosen the perfect gown. 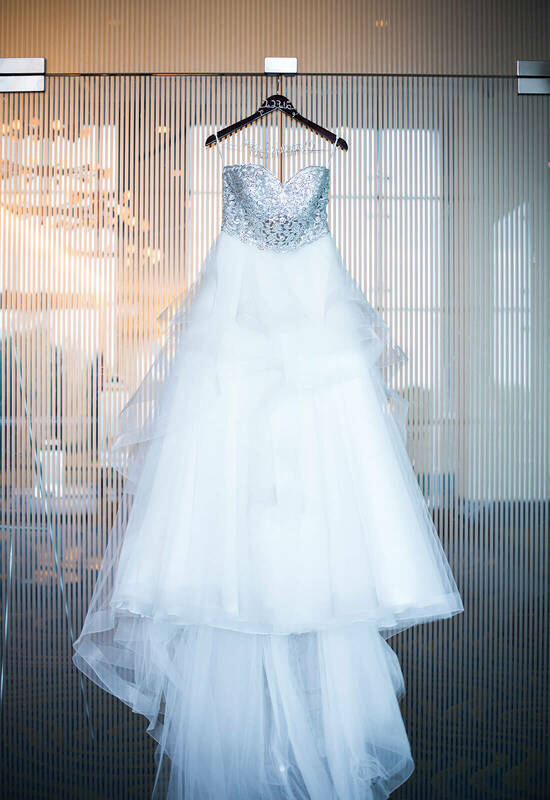 Shannon married her true love in a crystal ball gown making her the “blingiest” of them all!